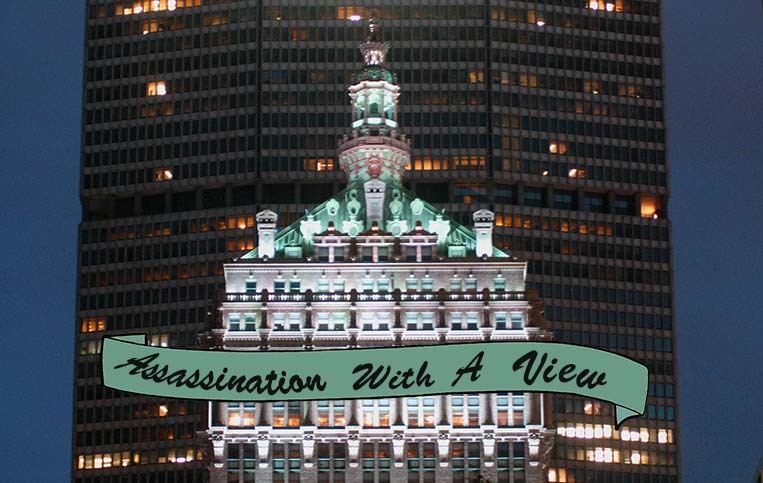 The Assassination of Salvatore Maranzano, 230 Park Ave. 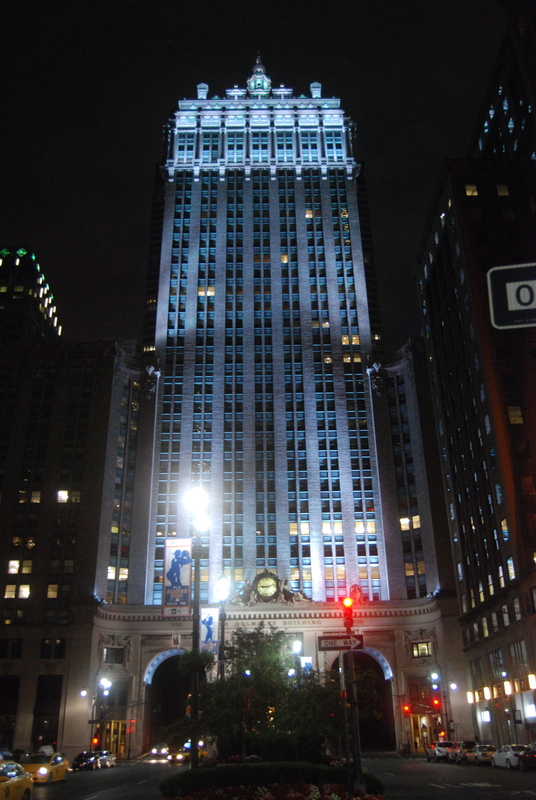 The Helmsley Building is the site of the Salvatore Maranzano Murder. 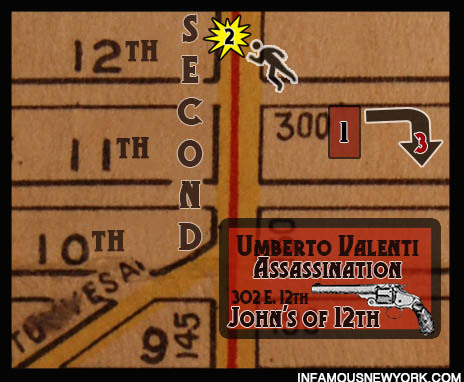 By the fall of 1931, Salvatore Maranzano had clawed his way to the pinnacle of the New York underworld, one bullet riddled corpse named Giuseppe at a time. During the 1930-31 Castellammarese Mafia War, the Julius Caesar obsessed mob chieftain and his allies roved the Five Boroughs in bulletproof Cadillacs, equipped with swivel mounted belt-fed machine guns, popping Giuseppes like squirrels. 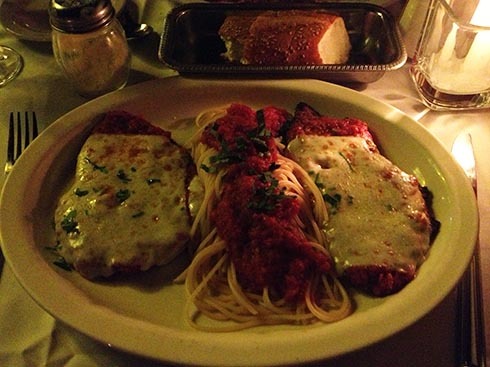 First to eat lead was Giuseppe “The Clutch Hand” Morello, the claw fingered capo de tutti capo of the New York Mafia, and his aide, Giuseppe Pirariano. 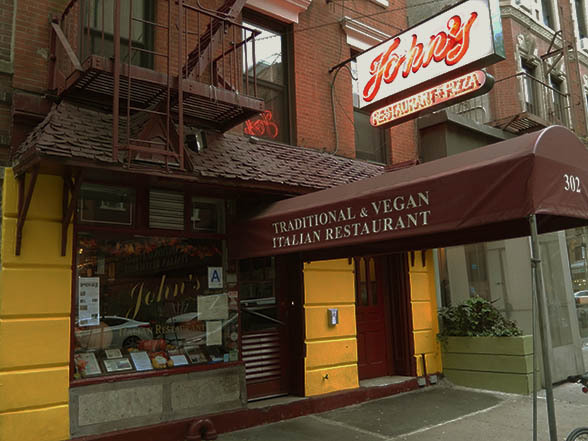 Next to be fitted for pine overcoats by Maranzano’s torpedos were Giuseppe “Fat Joe” Pinzolo and Giuseppe “Joe the Baker” Catania, leaving behind one last living Giuseppe. Maranzano’s arch rival: the corpulent, bullet dodging, Giuseppe “Joe the Boss” Massaeria. 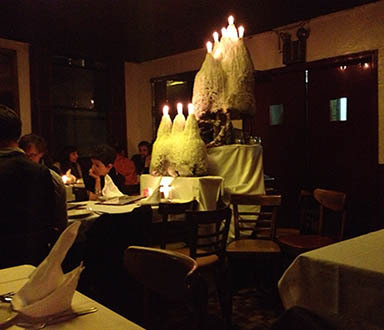 Giuseppe “Joe The Boss” Masseria was the last Giuseppe to feel Maranzano’s bite. 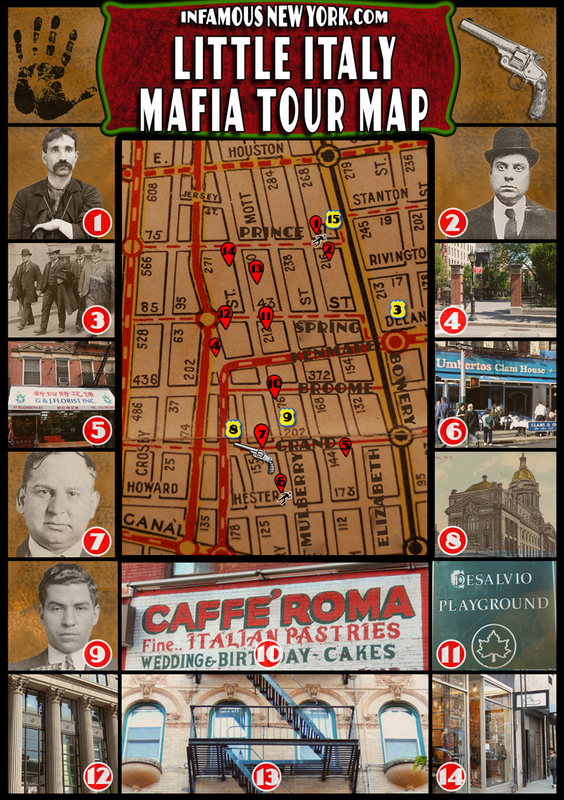 Working with the vigor of a machine age tycoon, Maranzano put the blast to last of his rivals, convinced Lucky Luciano to betray his overlord, Joe the Boss, and unified the American Mafia, like Rockefeller had monopolized oil. And like Rockefeller, Gotham’s newest kingpin needed a headquarters befitting his swollen ego, a command center that projected opulence and power and sophistication, a place where Maranzano could rub shoulders with Vanderbilts, stock brokers, and advertising execs. 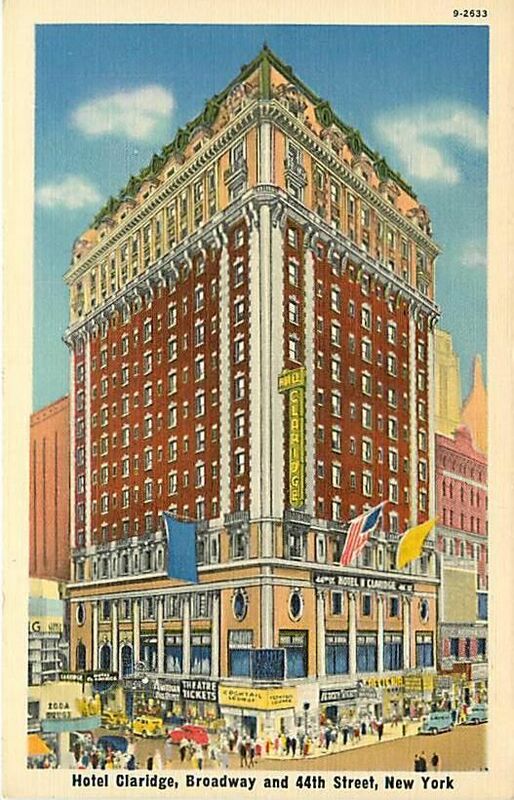 That place was the New York Central Railroad Building at 230 Park Avenue. A sky-scraping, neo-renaissance, 32 story spire, rising out of the center of Park Avenue, the New York Central Building (now the Helmsely Building), as it was then called, towered over Grand Central Station, giving William K. Vanderbilt II’s office a majestic panorama of the city. It would be a picturesque spot for a gangland assassination. 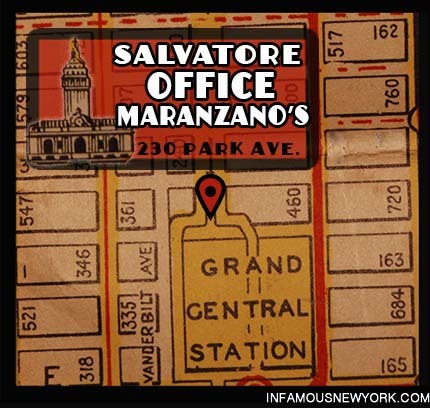 After unifying the the American Mafia, Salvatore Maranzano moved his offices to the New York Central Railroad Building, a place where he could rub shoulders with stock brokers and Vanderbilts. 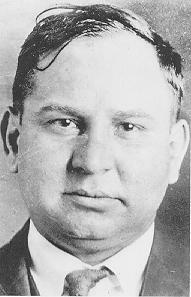 From the 9th floor office of his Eagle Building Corporation, Maranzano oversaw a vast criminal empire of speakeasies, hard cider farms, and a fishing fleet that fronted for a $20 million a year immigrant smuggling network. However, a scant three months into his reign, the empire began to crumble. 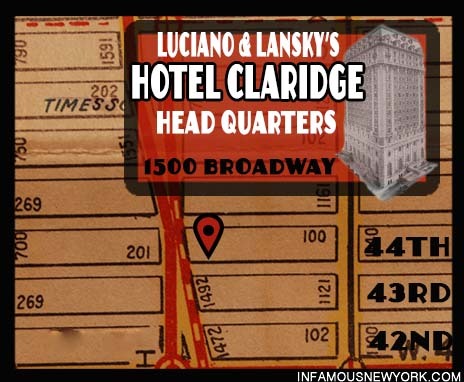 IRS agents were battering down the doors, the INS wanted him deported, and Lucky Luciano wanted him dead, a problem Maranzano hoped to remedy at 2:00pm, September 30, 1931. 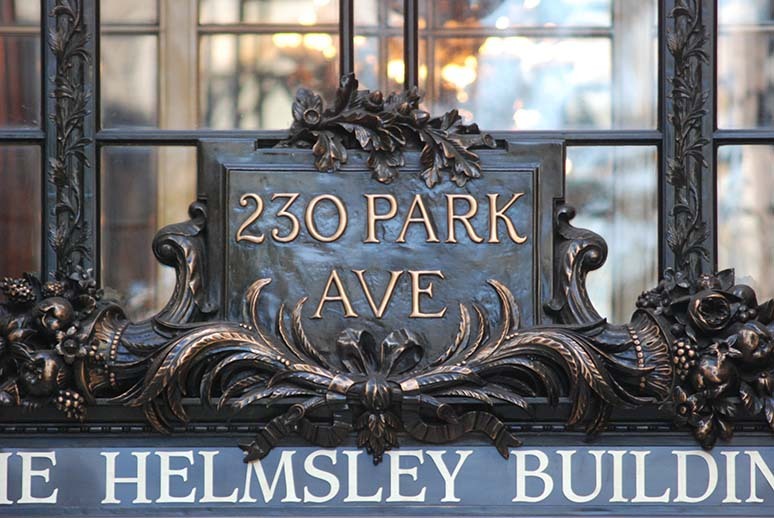 Now known as the Helmsley Building, The New York Central Building would be a picturesque location for the murder of Salvatore Maranzano. It seems Maranzano had double booked a meeting with Luciano to coincide with a courtesy-call by noted machine gun artist, freelance assassin, and all around psychopath, Vincent “Mad Dog” Coll. 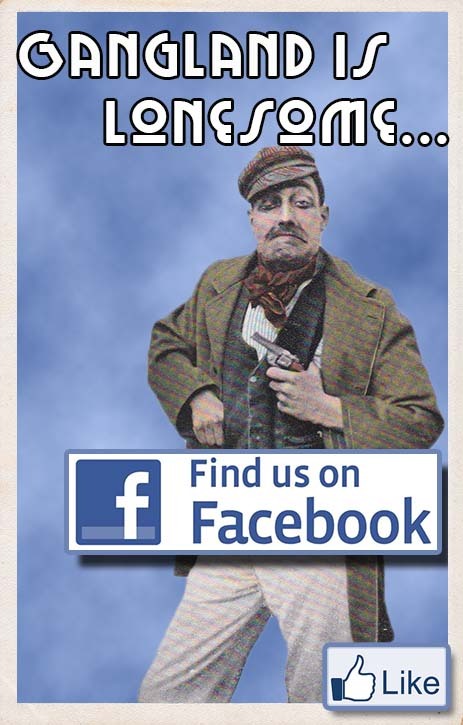 But as usual, Lucky was lucky. A four man team of Murder Inc. shooters from Meyer Lansky’s and Dutch Shultz’s mobs arrived on Luciano’s behalf, beating Coll to the punch. Maranzano’s office was in the New York Central Building, 230 Park Avenue. Whipping out detective’s badges, the revolver brandishing assassins howled, “We’re the police,” before lining-up everyone in the office against a wall. Snapping open switchblades, they stormed Maranzano’s private chamber, hoping to silently eliminate the mob boss, but their target proved tougher than a billy goat. Yelling, “We’re the police” Four Murder Inc. gunmen posing as plain clothes detectives stormed Maranzano’s office. 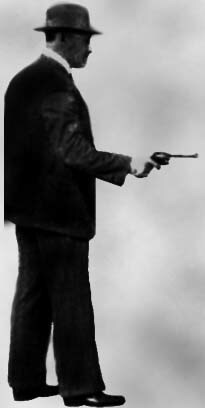 A flurry of rights and lefts knocked the fedoras from the gunmen’s heads, and they let Maranzano have it, stabbing him six times and pumping five bullets into his body as Mad Dog Coll made his way up to Maranzano’s office. The gangsters scrambled down the steps, bumping into Coll as they ditched their revolvers and bloody knives, before disappearing into the crowds of Midtown. 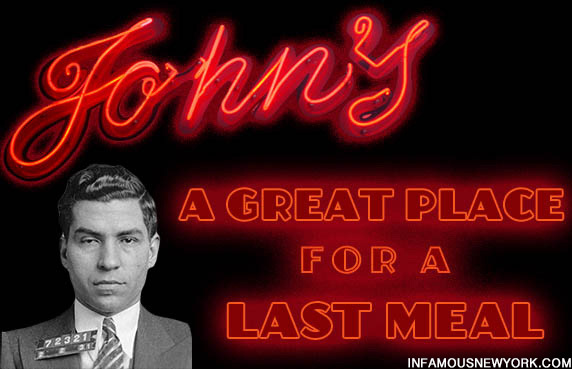 Lucky Luciano was now the new king of the New York underworld.